Whenever a therapist is treating you for back pain, one of the most important things they should address is how you hold yourself as you go about your day – whether it be sitting, standing or walking. Your posture can have a huge bearing on the amount of stress that is placed on your back muscles and the resultant back pain that will undoubtedly follow after years of carrying a bad posture. Back pain or sciatica is often as a result of your body being in a state of imbalance, often because you have used your muscles in an unbalanced way when you for example, slouch in your chair or sit in a poorly constructed chair that doesn’t support your body correctly. Taking a few hours out a week to exercise or get treatment for back pain and sciatica cannot compensate for the damage done by bad posture, especially when you consider the stress your muscles are put under every hour that you stand, sit or walk – and that can account for up to 16 hours or more a day! In addition, in today’s modern, fast paced, fast food world, a poor diet of processed foods, lack of regular exercise, stress overload, poor circulation, imbalanced muscles and of course, poor posture all have the effect of overloading your muscles – causing them to become fatigued, unresponsive, tight, unhealthy, and, eventually weak. Exercise programs designed to strengthen your muscles and help alleviate back pain are great but the results will be very short lived if you are not also focusing on your posture and holding the correct symmetry on either side of your body. You need to use the muscles on both sides of your spine and body evenly in order to keep your spine straight and your pelvis balanced. Holding a good posture has a profound and long term effect on minimising back pain and sciatica. It also ensures that your muscles are put under the least amount of stress possible, and will help you to recognise the areas of your body that are tight and blocked so that you can work on these areas with the right exercises and self-treatment. Slowly but surely you will eliminate these blocked areas until your body is suppler and balanced. Strengthening your muscles with exercise in order to alleviate back pain or sciatica demonstrates that strength is a great counter for imbalance, but often strengthening exercises can irritate the pain even further, or make it more chronic. To benefit from a strengthening program, you cannot be suffering from acute back pain or sciatica, and you need to have healthy responsive muscles that can cope with exercise. Younger people tend to respond best to exercise programs for back pain or sciatica because in general, they naturally have healthier and more supple muscles, because their muscles haven’t yet had the time to deteriorate too far. However, this is also a time when they can begin to develop bad posture habits and, because they don’t feel the effects straight away, they can keep bad posture for years. By the time they realise the impact of their posture, the damage has been done and the back pain or sciatica has become chronic. Bad posture puts unnecessary and undue stress on your joints and muscles and, in addition to causing back pain and sciatica; it can also cause you to have one leg shorter than the other. Doctors and therapists often tell their patients that everyone has a short leg and that it has little bearing on pain, but I can assure you that this is definitely not the case. Whilst it has been said that the body is strong enough to withstand the pressure caused by a short leg, for the vast majority of back pain sufferers, this is not the case because bad posture from a short leg or rotated pelvis coupled with muscle weakness is a powerful recipe for pain. 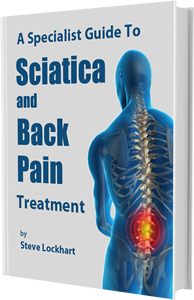 If you would like more information on posture, I have made a copy of ‘The Experts Guide to Treating Back Pain and Sciatica’ available (at no cost), along with a video demonstrating a simple exercise you can do at home which will help you get relief from your back pain or sciatica. Go Here. For now, focus on your posture and notice how much better it makes you feel when you improve it. Yes sorry about that Jen, I have finally got a helper now and have that on the list. Very informative article to deal with Sciatica pain. I have too seen people suffering from such pain. This back pain which occurs due to several reasons like pregnancy, Piriformis syndrome and many others like diabetes and so forth. People gonna surly benefited from it. Thanks for sharing for such an informative post. Many are guilty! bad posture at work for long hours setting in front of the computer. Back pain is not limited for aged people, many youngster are suffering as well. Very sad to know the fact that anyone can have a back pain because of the bad habits. It cannot cure overnight, not too late too.